At RSA School of Motoring we take a refreshingly different approach to driver training. As our student we want you to have fun during your lessons and stay safe when you drive. Which is why we continually train and upskill our instructors to not only give you the best driving lesson experience there is to be had in Greenan but also to give you a calm relaxed environment to learn in. With our instructors your driving will come to life. We have seen students consistently progress faster with the use of our home study support material. Our course walks you through the Essential Driver Training syllabus and helps with aspects of your driving like right and left turns giving you a better theoretical understanding of what safe driving really is. No other Greenan driving school offers such a comprehensive service as this. Fact! Ireland has one of the worst road death statistics in Europe. The Essential Driver Training Syllabus was brought in by the Road Safety Authority to help fight the issue. Training to pass the driving test is completely different from learning to drive. You should already have the vital driving skills and road safety knowledge before applying for the test. Our Greenan pretest driving lessons are designed to show you how to beat the test by understanding the situations you will be placed under. If your test is booked there is a lot of unknowns and fears to contend with. Fear can distract even the most experienced of drivers. So it stands to reason that we have to shine a light in the dark, remove the unknowns and the fear. Which is precisely what our pretest driving lessons will do. We all remember the fun engaging teacher at school that made learning fun and easy. And then we had the opposite, those teachers that had no place in the classroom. Not all teachers are made equal and that is no less true with approved driving instructors. It's not as simple as Googling 'Driving Lessons Greenan' and choosing the first driving school you stumble upon. Who can you trust to offer you that fun and engaging experience? You need a driving school with a reputation built on experience and student success. 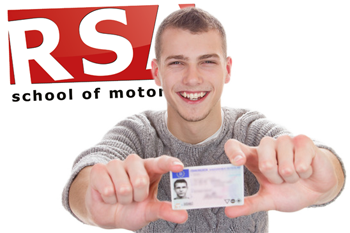 A place where students are consistently passing their driving test first time. 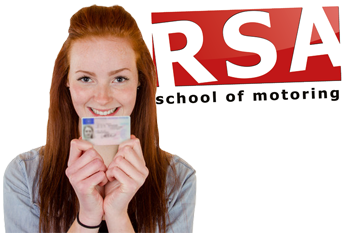 RSA School of Motoring have the exact track record of student success we have been talking about and we have the verified testimonials to show it. So if you need driving lessons you would be getting a head start choosing us. Let us explain to you why. What self respecting driving school doesn't offer automatic driving lessons in Greenan? 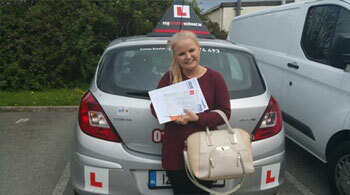 We can offer all our students driving lessons in automatic or manual dual controlled vehicles anywhere in Greenan. Book your automatic driving lessons in Greenan now. Do you have female driving instructors in Wicklow? Looking for a female driving instructor for your driving lessons? No problem. You can take your essential driver training or pretest lessons with one of our female driving instructors. Just give us a call to book in. Certainly. 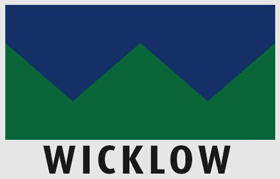 We understand that young people these days live very busy lives so as part of our service we include free pick up and drop off from your Wicklow home, college or place of work*.